Galaxy Note 10.1 GT-N8000 received the last update of Kitkat and it will not receive any further OS updates. Some of you may or may not like the Kitkat update on Note 10.1. So, if you are looking forward to downgrade Galaxy Note 10.1 GT-N8000 to ICS 4.0.4 from Kitkat firmware then you should follow the instructions given below. Your device will revert to stock Icecream sandwich (ICS) firmware. I am showing you the method to downgrade your Note N8000 to ICS not Jellybean. It is because downgrading to jellybean from kitkat is not possible via PC Odin method. You have to use mobile odin to downgrade to jellybean. 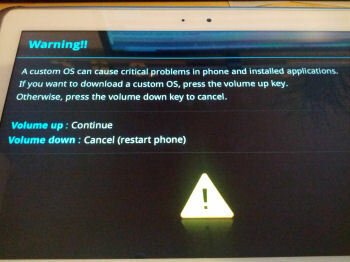 So, for now I am showing you how to downgrade Galaxy Note 10.1 GT-N8000 to ICS via PC odin version becasue downgrading to jellybean is not possible via PC odin as i disscused earlier. This method also works if you want to downgrade from jellybean to ICS. The process is easy and your device will be on stock factory OS. So, let’s start. Odin is used to downgrade Galaxy Note GT-N8000 to 4.0.4. The process is not that difficult. Follow the instructios step by step and you are good to go. I will try to explain every step so you understand it well. Odin is used for downgrading which is Samsung’s official tool for flashing firmwares. So, if you are ready then we should start. Fist check the model of your device by going to settings>>about phone. Make sure it’s GT-N8000 then proceed. Backup your important data like photos, videos, contacts, messages etc because you may lose your data if need to reset the device. Charge your phone up to 70% to minimize risk of low battery. Your PC should have Samsung USB Drivers installed. Download the ICS 4.0.4 OS on your PC from above link and extract it. You will get a tar.md5 file after extracting the firmware. Download Odin v3.09 from the above link and extract it too. On your tablet go to Settings>>Developer Options, scroll down and enable USB Debugging Mode. If you don’t find developer options in the settings then you can activate them by going to Settings>>About Phone and tapping on Build No seven times. After that turn off your tablet. While your tablet is off, enter into download mode by pressing and holding Volume Down+Power button and release when the warning screen appears. Now press the volume up button from the warning screen to get into download mode. Now launch Odin flash tool on your computer. Connect you Galaxy Note 10.1 to the computer. Odin will detect your device and ID:COM box in Odin will turn blue after the successful connection between computer and your device. After that, click on the AP button in the Odin and choose the extracted 4.0.2 ICS firmware file which is in tar.md5 format. Ensure that no other options except Auto Reboot and F.Reset Time are enabled in Odin. Note: If Odin stops at any point then unplug the device, close Odin, run Odin again, reconnect the device and do the process again. After clicking on the start button. Odin will start installing the firmware on the device. It will take some time to complete so wait till the process competes. After the completion of the process Odin will show PASS message on the screen. Your device will now restart automatically. Disconnect the cable and wait. At first start-up it would take some time to show up the home screen. So have patience till the device fully starts. And All Done!!! If Device Get stuck in Boot Screen: If your device is stuck at boot screen or Samsung Logo then follow the instructions here and wipe data factory reset. This it it. Our tutorial to Downgrade Galaxy Note 10.1 GT-N8000 to ICS 4.0.4 from 4.4.2 kitkat ends here. Comment below if you have any questions. Please share it and subscribe. Sharing buttons are below and subscription box is at the end.